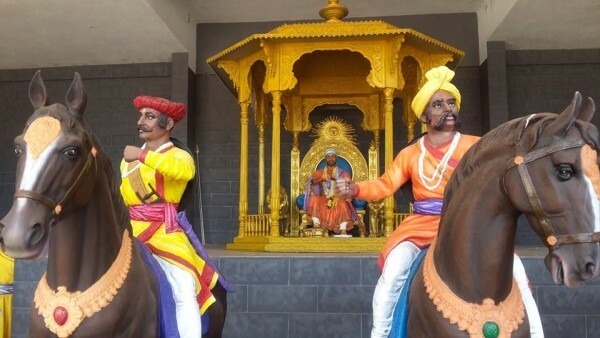 The Belagavi city corporation will officially inaugurate the Shiv Shrushti a four year old project on 28th April evening 6 pm said Mayor Sanjyot Bandekar in a media briefing on Thursday. When asked why it is being inaugurated even when 50% work of it is not completed, mayor said that it is being inaugurated on the occasion of Shiv Jayanti and Akshaya Tritiya. We are hopeful that the work of Shivshrushti will catch pace once it is inaugurated and open for public. However when asked about the work status, how many BCC is going to spend for work, what will be attractions, when it will be completed she become answer less. It seems the ruling group and Present South MLA is in hurry to inaugurate it in their period. Mayor said after inauguration of Shivshrushti the estimation, funds, Plan will be decided.